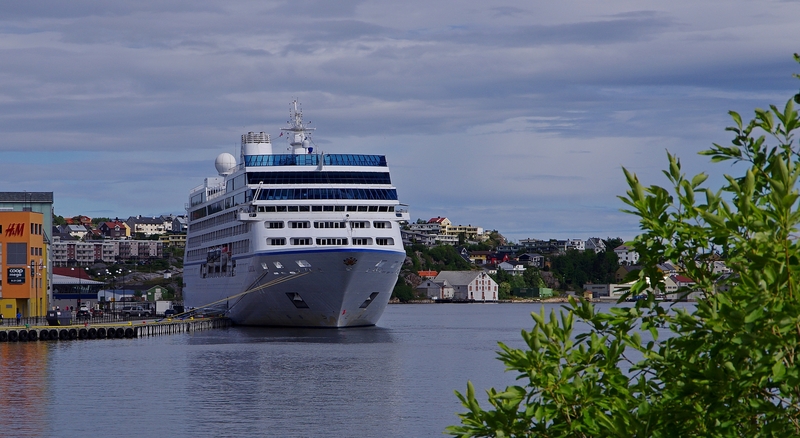 New day, new cruise ship in Kristiansund. 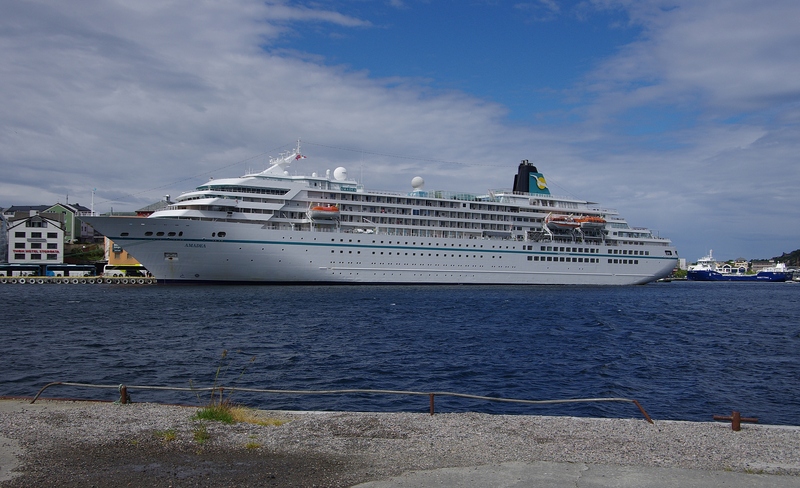 Today we were visited by Phoenix Reisen GmbH and M/S Amadea. Sunday 9. 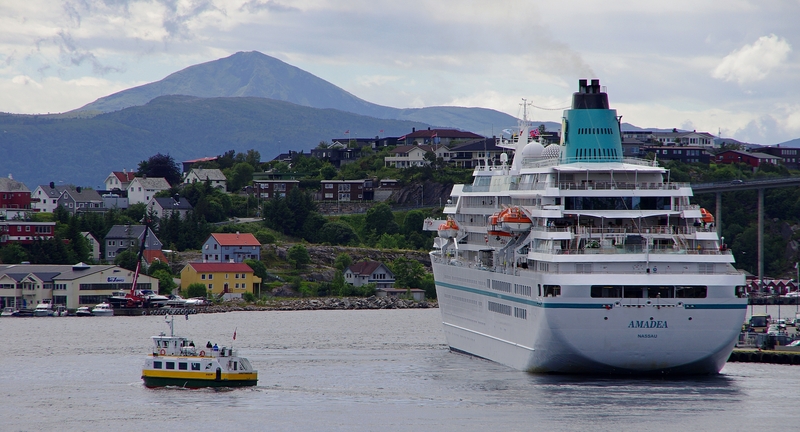 July 2017 saw NAUTICA visiting Kristiansund. Nautica, built in France and delivered in year 2000. She's181 meters long, 25 meters wide. Galaxy, if you see this before Wednesday: What is the status of 28. 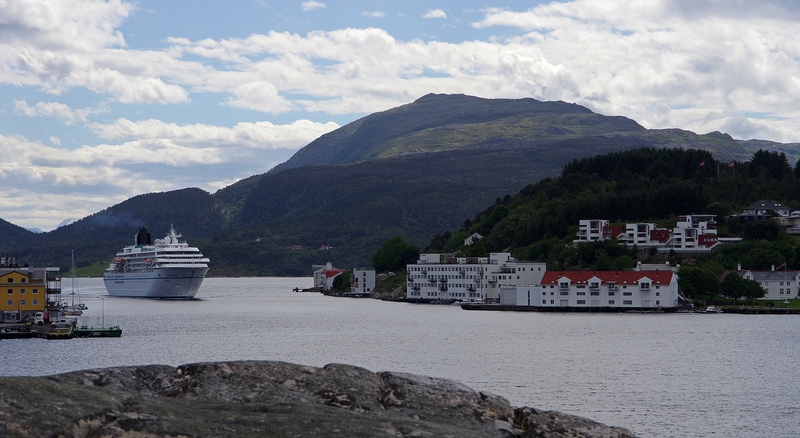 June 2017, as the list say both Viking Sea and Viking Star will visit Kristiansund together?? Can't find any info on the Viking Cruises web-page, and the calls are not listed in the Port Authorities cruise info. I'll try to take as many pictures from as many angles I can of the two Vikings, but can't promise anything. This is due to the fact that I'm at work from 0800 to 1600. On top of that, the Tahitifestivalen 2017 open up on the 28th and I have a ticket for Jack Vreeswijk and Bo Kaspers Orkester. 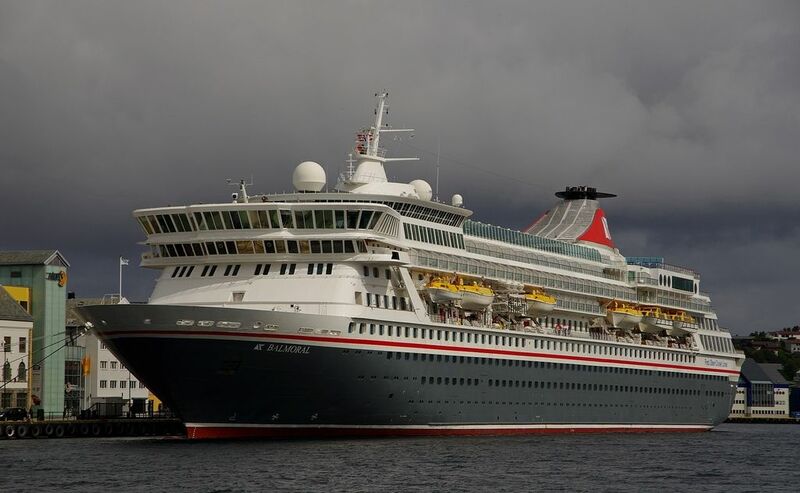 Balmoral is such a beauty of a ship, and the new grey hull color really suits her a lot. WAOW! Two Viking-ships coming in to port on the 28th? That sounds like a rgeat reason to go to KSU for a visit, but it being a nightwatch week, I guess it's not in the cards for me this time. 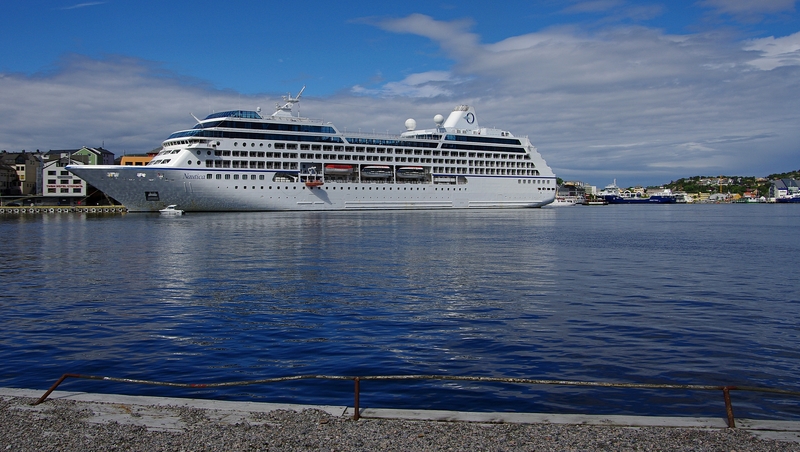 And, as if it didn't hurt me enough - Viking Ocean Cruises has still not made the trip to Trondheim (yet). But today, we had the pleasure of having Fred. 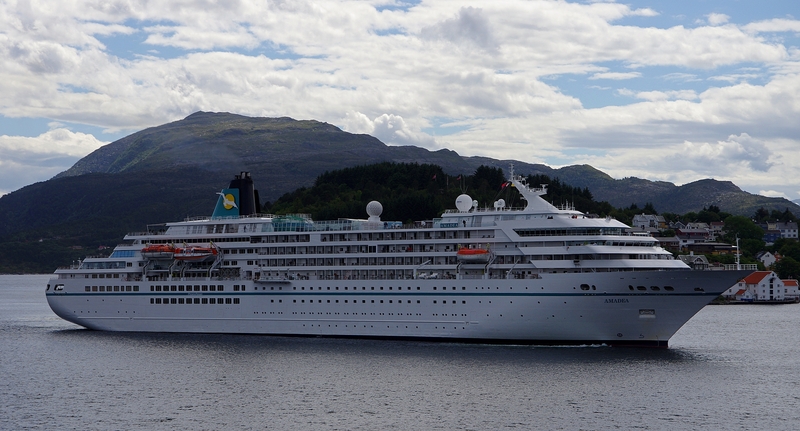 Olsen Cruise Lines M/S Balmoral here. And what a beauty she's become! I really like the blue/grey hull far more than the all white. Due to work I had no way to be around at her arrival, but after a couple of hours I drove in the company car to Nordlandet and Innlandet to photograph this ship in her (to me) new colors. I must say I was rather pleased with the old Pentax today, if I might say so myself. Last edited by Sterkoder; June 23rd, 2017, 08:05. Title has been changed as per wishes! 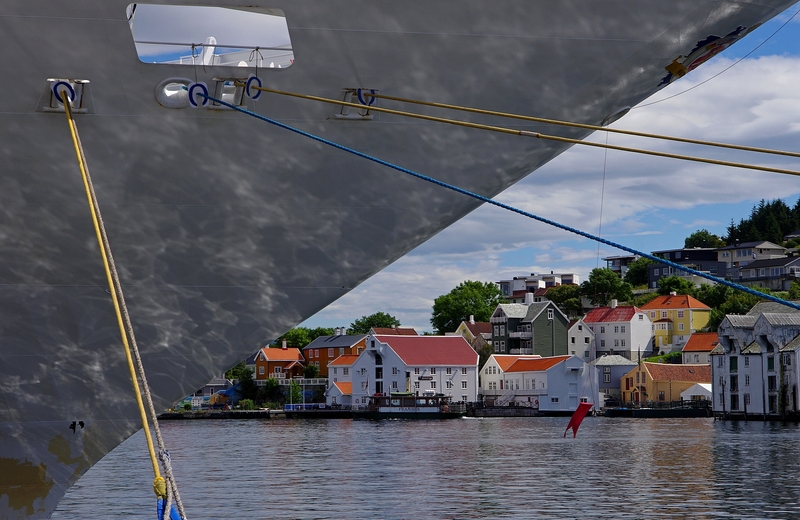 Wonderful images of the Marco Polo, Mr. Sterkoder! 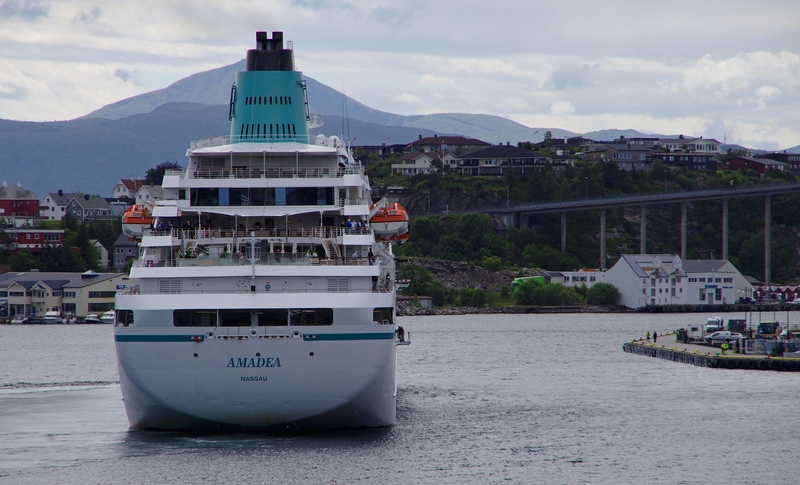 It's no secret at all that ocean liners and classical passenger ships like this are on borrowed time - as we know, the Vistafjord (OASIA) is currently on her final voyage to Alang. We will never know whether this will be the last visit or not of this fine veteran. I'm so glad you got to document it so well as you did. I'm sitting here with a little smile on my face, my friend Cecilia, because usually your comments are a bit longer and consist of comments in general and usefull phototechnical comments. But this time, and the reason for me smiling, I think of an old saying: "When Cecilia is lost for words and write short comments, your pictures are perfect"
I have just been sitting here for over half an hour gazing at these special images, immersed in the mood. Your pictures say so much, Svein; all I want to say is thank you. Very nice dreamy photos. 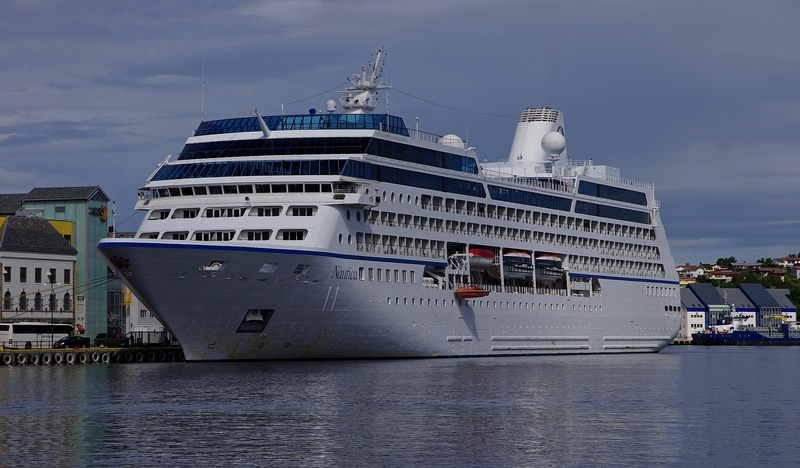 I don't like the big ships but Marco Polo has elegant lines and just looks nice.